Our approach to winemaking is inspired by both the old world and new, drawing on time-tested techniques as well as those at the forefront of innovation to create wines that express their unique origin, personality and heritage. 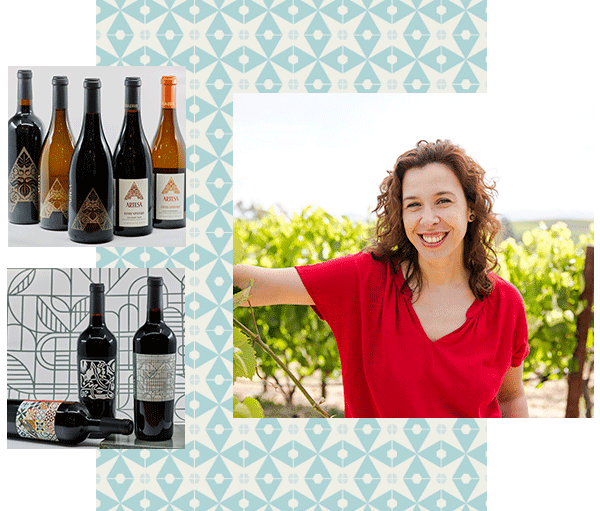 Artesa’s winemaking team is led by Ana Diogo-Draper, Director of Winemaking. Born, raised & educated in Portugal, she moved to California in 2005 to join the team at Rutherford Hill Winery. She joined Artesa Vineyards & Winery in 2013 and was promoted to Director of Winemaking in 2015. Ana describes her approach as born from agriculture, immersed in the European tradition, and passionate about California. We create our wines one small lot at a time, harvesting, fermenting and aging each lot separately, tailoring artisan practices to allow each parcel to express its individual character. Then we patiently and meticulously compose the final blends to achieve wines that are both elegant and intense, and unmistakably true to their roots. Core to Ana and Artesa’s philosophy is our commitment to experimentation and innovation. It starts in the vineyard, where a diverse site planted with diverse clones demands micro-farming and a creative approach each season. In the cellar, Ana favors low intervention and wild fermentation, and conducts trials every year to constantly strive to express fruit and site character more effectively. Each year, she and her team make plans to trial new ideas, equipment, and practices in the quest to make better and more interesting wines for you every vintage.